At the time that this article is being written (10.30 am on Monday, 26 June 2017), Tubelight — Salman Khan's Eid offering for 2017 — has been playing in theatres for all of three days. In these three days, there's been a plethora of coverage dedicated to the box office collection of the Salman-starrer. With Tubelight being among the biggest releases of 2017 — and following so close on the heels of Baahubali 2: The Conclusion's trailblazing theatrical run (collections are now just shy of the Rs 1,700 crore mark) and Dangal's box office dominance in China — the scrutiny over its numbers was expected. Add to that its legacy — the twin power combinations of Salman Khan+Kabir Khan (Ek Tha Tiger, Bajrangi Bhaijaan) and Salman Khan+Eid — and the microscopic dissection of Tubelight's box office collection seems only a matter of course. 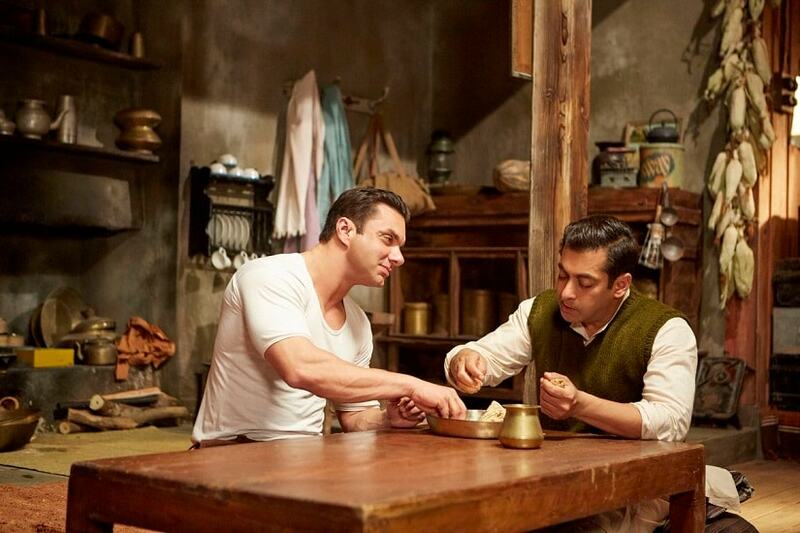 Sohail Khan and Salman Khan in Tubelight The film's box office collection currently stands at Rs 60+ crore. Image via Twitter. As per the last reported figures (from Sunday, 25 June), Tubelight's box office collections currently stand at Rs 42 crore. Early reports for Sunday's collections peg Tubelight's take at Rs 66 crore. The above data doesn't account for Salman's non-Eid releases' opening day collections: Dabangg 2 (December 2012) — Rs 21.10 crore; Jai Ho (January 2014): Rs 17.50 crore; and Prem Ratan Dhan Paayo (Novermber 2015) — Rs 40.35 crore. It must also be noted that the opening day collection is not generally a reflection of the lifetime collections of Salman's films. Bajrangi Bhaijaan may have only have the fourth-highest opening box office collection of Salman's movies between 2012 and June of 2017. However, it is currently the highest-earning film of Salman's repertoire. So Tubelight's box office numbers cannot be accurately predicted at this point. Moreover, a spike in collections is expected on Monday (26 June) with the public holiday for Eid Al-Fitr bringing in greater footfalls for theatres. 1. Weren't Salman's films supposed to be 'critic-proof'? So how could the critics's reviews possibly have a bearing on Tubelight's collections? Apart from Bajrangi Bhaijaan and Sultan to a certain extent, it isn't as though Salman's movies have impressed critics anyway — and negative reviews didn't affect their collections any. If at all Tubelight's opening collection isn't comparable to that of previous Salman releases (from 2012 onwards), it is because of a mix of reasons — Ramadan possibly impacted the business over Friday-Sunday;and this is considered among Salman's most experimental films. Certainly the reactions to it have been polarised, and not just along the usual 'critics versus fans' lines. Viewers themselves seem conflicted about Tubelight, and Salman's role in it. The overseas box office collection for Tubelight too have been less-than-brisk. 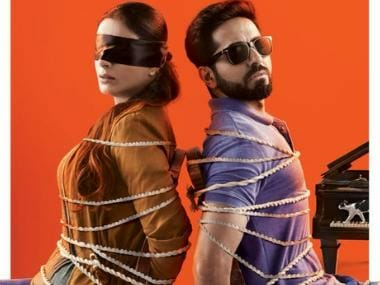 If the UAE saw an opening day collection of around Rs 6.6 crore for the Salman-starrer, then its release in Pakistan has not moved ahead as planned. In the US, its collection has been lower than that of Allu Arjun-starrer Duvvada Jagannadham (or DJ, as the Telugu film is popularly called). Salman himself has been fairly cautious when talking about Tubelight's box office prospects. However, industry observers have not. Headlines for box office reports for Tubelight have veered from the superlative, to (for want of a better word), odd. To compare a Salman Khan big-ticket film with small and medium budget films that star a Taapsee Pannu, Irrfan Khan (Naam Shabana and Hindi Medium, respectively) seems like contrasting the Titanic's performance with that of a little sailing boat passing by. It would have been rather surprising if Tubelight hadn't crossed the collections of these films. Shah Rukh Khan's Raees (which had a Republic Day 2017 opening, albeit one that clashed with Hrithik Roshan's Kaabil) might perhaps provide a more appropriate benchmark for comparison. The phenomenal numbers Salman Khan's films rack up at the box office has been a boon for the actor and his producers — for the most part. On the rare occasion, they can also prove to be a bane. Take the case of Jai Ho (2014) — which, with its Rs 17+ crore opening and over Rs 111 crore collections by the end of its third week at the theatres — should have been considered a hit (it is estimated to have cost between Rs 40-65 crore to make, and was produced by Sohail Khan). However, Salman himself has called the film a "Rs 126 crore flop". Salman explained why even a film that had entered the '100-crore club' might be considered a flop by his standards: "An actor wants his next film to be better and larger than their previous film" — and the sentiment is certainly true of what is expected from each of the superstar's releases. Tubelight is up against each of Salman's previous films: Sultan, Prem Ratan Dhan Paayo, and especially Bajrangi Bhaijaan. The cycle will be repeated when Tiger Zinda Hai — the sequel to 2012's Ek Tha Tiger — releases in December 2017. There's certainly a burden of expectation on a Salman Khan film at the box office. Dangal (post-China) and Baahubali 2 have changed how we view box office collections for Indian films. The success of both films is so recent, and yet, the general rejoicing over films crossing the Rs 300-400 crore mark now seems like a thing of the past. The 100-crore club is meaningless, it is the 1000-crore club that blockbusters must now aspire to. And lest we forget, Dangal has probably even touched the Rs 2,000 crore mark now. 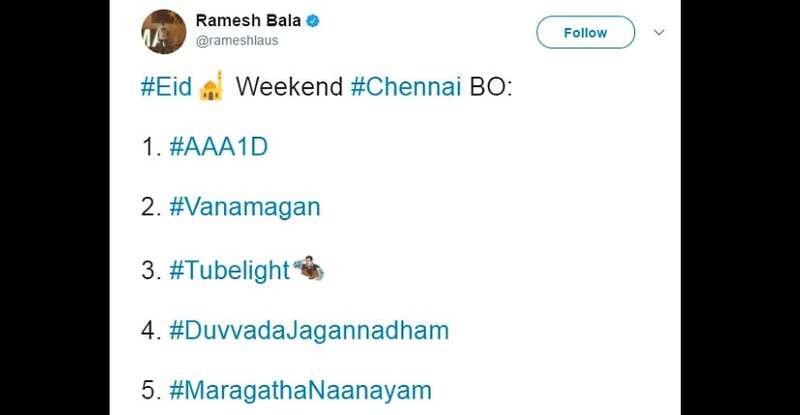 Every major film that releases next — Tubelight (which is now in theatres), Randamoozhan, 2.0 et al — is going to be held to the standards set by Baahubali 2 and Dangal, and chances are, they will all come up short. Like virality on the internet, there's an undefinable quality to both Baahubali 2 and Dangal — a sentiment they've been able to tap — that's propelled them to the top of the highest-grossing Indian films' list. Thinkpieces galore may try to pinpoint the reasons for their phenomenal success, but they'll still not capture the 'x' factor that made these films such runaway hits. Unfortunately, every producer vying for a share of those big box office numbers will now have to face up to the gauntlet of expectations raised by Dangal and Baahubali 2. Nothing short of Rs 1,000 crore will impress. The south may not be Tubelight's target market, but Bollywood may need to think of a way to better extend its reach in these markets. South films — be it Baahubali or Rajinikanth's 2.0 — are looking at ways to expand their scope beyond those of the immediate regions of origin. Hindi films, by contrast, already have an established pan-India and worldwide presence. However, coming up with a focused plan for releasing in the south can pay rich dividends — Dangal being a case in point. Just like its title, its less-than-impressive box office opening too is perhaps just the flickering of a tubelight before it comes brightly to life. Stay with us, as we track the box office numbers for Tubelight here on Firstpost. 1Tubelight box office collection: Is slow opening the flicker before Salman's film comes brightly to life?